-Smooth flat surface for easy cleaning. -Push button on/off control meaning desired temperature setting remains unaffected after each use. 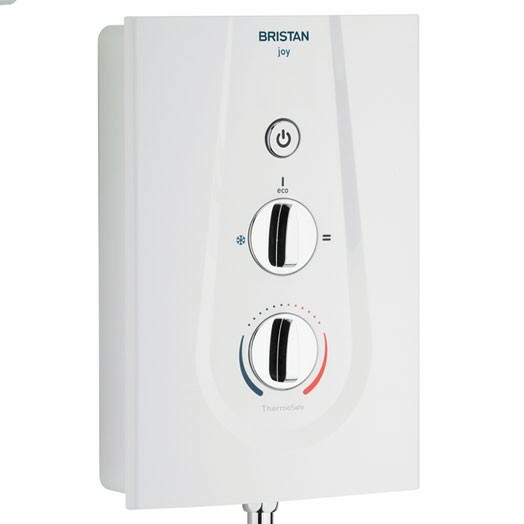 -Phased shut down, clears remaining hot water from the system when you turn it off so that next person does not get a blast of hot water and also prolonging the life of the shower by ensuring lime scale build up is kept to a minimum. 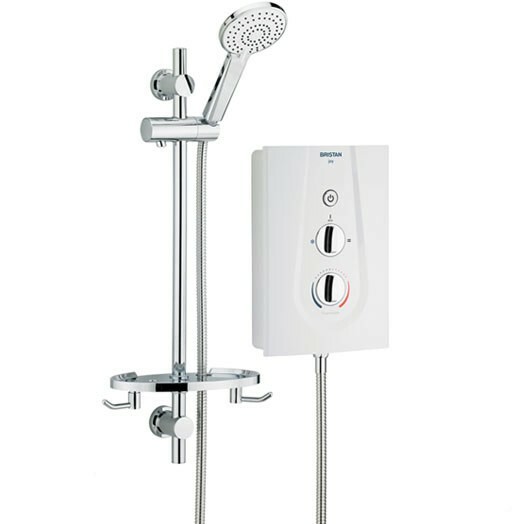 - Supplied with a chrome rub clean multifunction shower handset and soap dish with integral hose retainer. 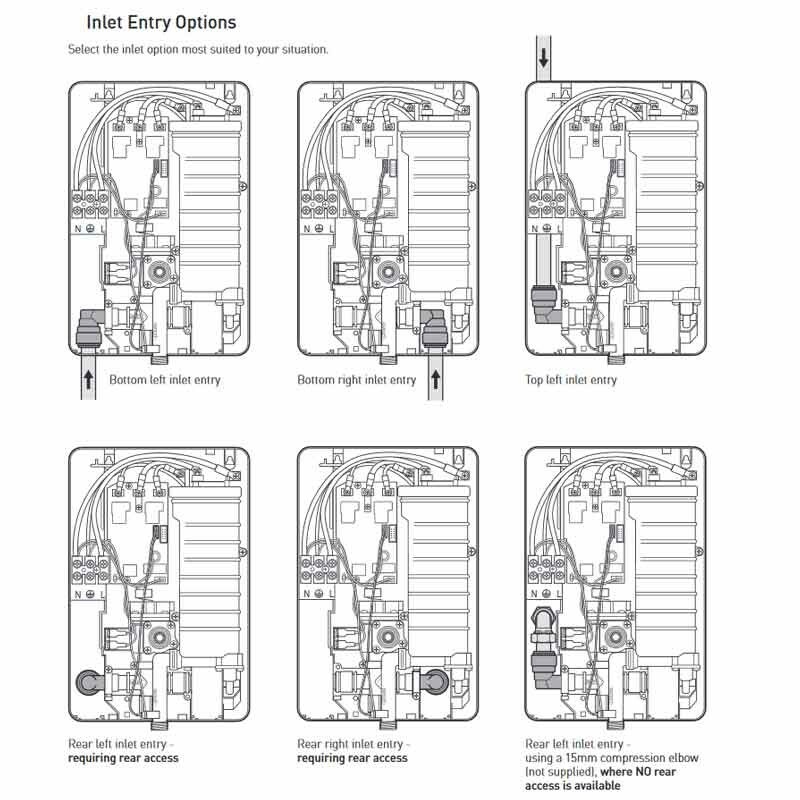 -The universal footprint and 5 options of inlet position make this shower a perfect replacement option for a variety of electric showers without the need to disturb your tiles. Consistent showering temperature. 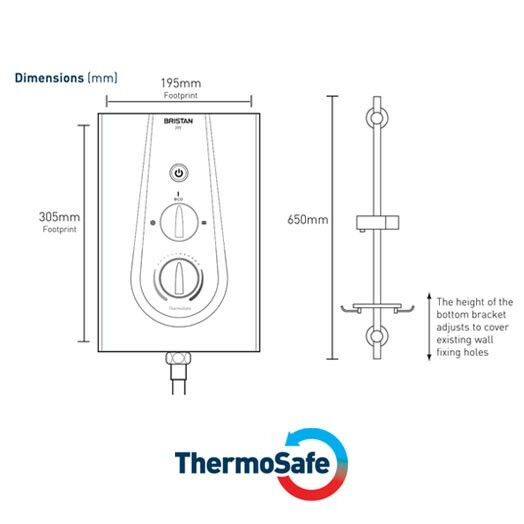 Temperature stabilisation device compensates for changes in pressure due to other household fittings.